Instagram is an online mobile photo-sharing, video-sharing, and social networking service that enables its users to take pictures and videos, and share them either publicly or privately. Currently, it allows it's user to upload maximum 60 seconds duration video. 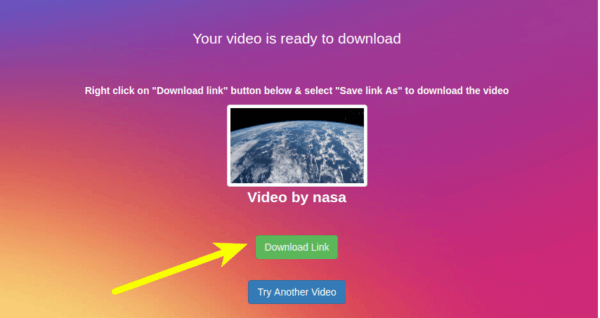 Instauncle is a free online tool to download Instagram videos directly from the Instagram CDN server. It downloads the video in simply MP4 format, which you can save to your local directory. It automatically downloads the best video quality which's supported by any modern PDA device. Step :1 Open Instagram Website (www.instagram.com) in a new tab. Step :2 Login to the website with your account. 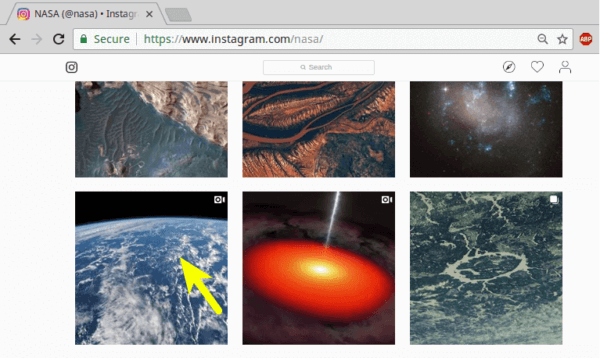 Step :3 Next, search for any username (forexample, NASA ) and open it's page. Step :4 Scroll down and find the video that you want to download. As in this case, the satellite video of earth from space is meant to be downloaded. 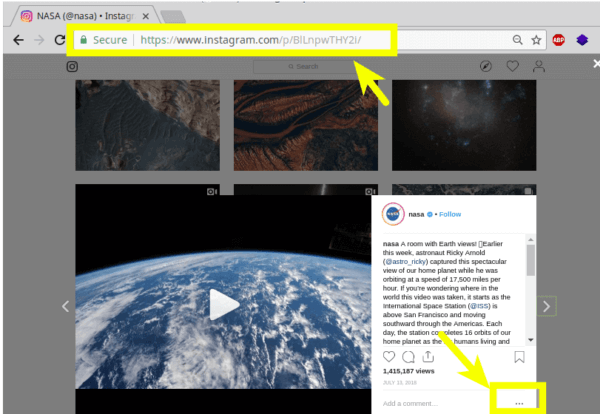 Step :5 Your aim is to obtain the URL of the Instagram post that you intent to download. So, just click on the video thumbnail and then copy the direct-link from browser's navigation bar as shown in the picture below. 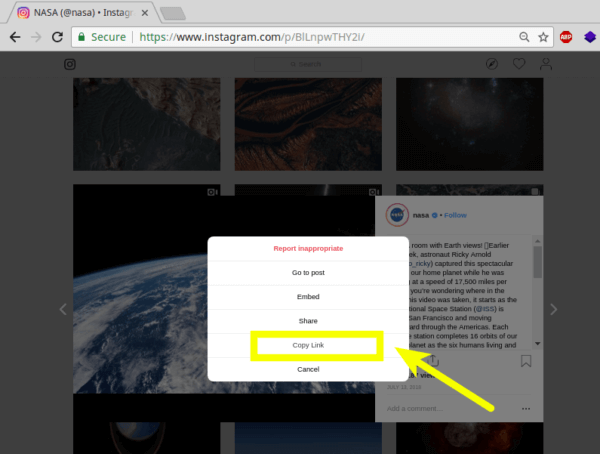 Step :6 You can also copy the URL of an Instagram post by right clicking on the video thumbnail or glyphicon as shown in the picture above. The copied link should be something link this: https://www.instagram.com/p/BlLnpwTHY2i/?utm_source=ig_web_copy_link. Step :7 Again, Open the website instauncle.com. Step :8 Paste the link in the given URL field and click on "Download". Step :9 Finally, you're taken to the download page. Right click on the "Video Download Link" button and save the link to your local directory. We do not host or stream any copyrighted content on (or from )our server. Users download the contents directly from the CDN server. Do not violate any terms of service or copyrights when using this website as it is not intended for circumventing copy protection mechanisms or for making illegal copies of copyrighted content. Please respect the rights of the content owners. This website is NOT affiliated or approved by Instagram.com.